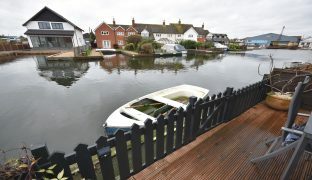 An immaculately kept, fully renovated three storey, three bedroom waterside property with a private mooring and off road parking, all within walking distance of the centre of Wroxham, set just off Daisy Broad. 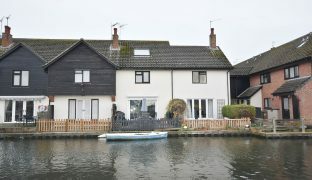 An immaculately kept, fully renovated three storey, three bedroom waterside property with a private mooring and off road parking, all within walking distance of the centre of Wroxham, set just off Daisy Broad at the heart of the Broads. 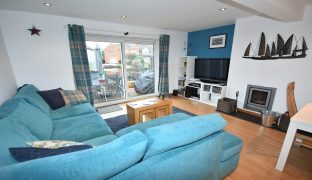 The property was comprehensively upgraded and improved in 2013 with works that included a new fitted kitchen, two fully refitted shower rooms, new internal doors, new flooring and complete redecoration throughout. 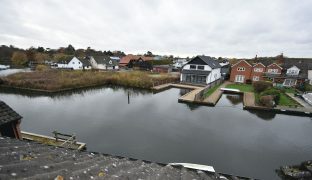 Other features include UPVC sealed unit double glazing, gas fired central heating (boiler fitted in 2012) by radiators, wood burner, panelled oak fire doors throughout, off road parking and a private side on mooring measuring approximately 14’6″. 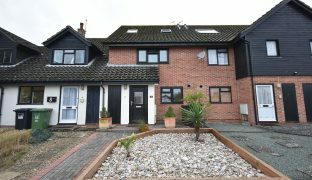 The accommodation comprises an entrance porch, entrance hall, kitchen, living room, master bedroom with en-suite shower room, two further bedrooms and a further shower room. 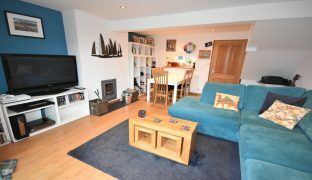 Used currently as a comfortable and convenient permanent residence, this property is also perfectly placed to be an ideal second home or holiday let. Laminate wooden floor, space for fridge freezer, down lighters, telephone point, staircase to first floor, radiator. Fitted kitchen with white gloss units under and a solid oak worktop. 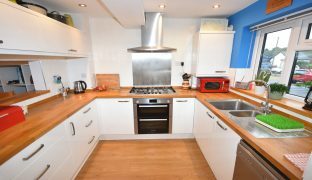 Built in Bosch double oven and 5 ring gas hob, extractor hood, 1½ sink unit and drainer, wall mounted gas boiler, partially tiled walls, window to front aspect, serving hatch, down lighters. 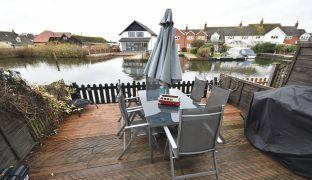 Large sliding patio doors to rear looking out over the water, with electric external roller shutter, laminate wooden floor, wood burner, TV and telephone points, down lighters, radiator, dimmer switches, panelled door. Built in linen cupboard, space saver staircase to second floor. 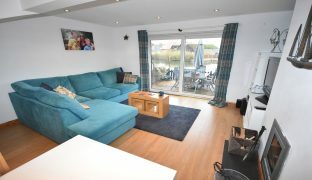 Window to rear with views out over the water, radiator, fitted wardrobes with sliding doors, panelled door. 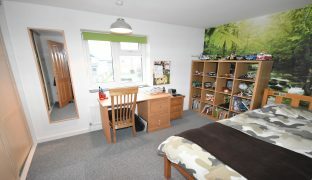 Window to front aspect, fitted wardrobes and a built in cupboard, radiator, panelled door. 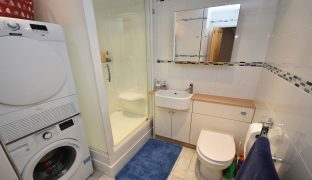 Newly fitted with a sealed unit shower enclosure with a mains fed shower, vanity hand basin, low level w/c, heated towel rail, fully tiled walls, extractor fan, down lighters, plumbing for washing machine, folding door. 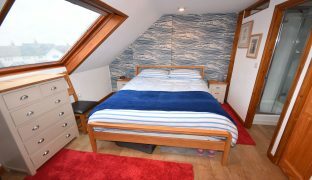 Master Bedroom: 13’11” x 9’9″ – Velux window to rear with views out over the water and beyond to the River Bure. 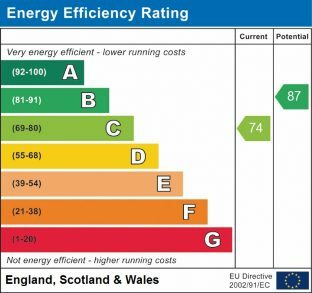 Built in wardrobe, laminated wooden floor, down lighters, radiator. 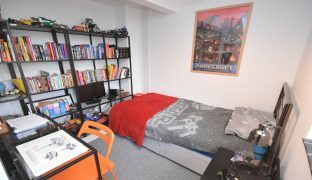 En-Suite Shower: Newly fitted with sealed unit quadrant shower enclosure with electric shower, vanity wash basin, low level w/c, partially tiled walls, Velux window to front aspect with views out towards St John’s Church, heated towel rail, panelled door. Small front garden with external store cupboard and outside lighting and tap. 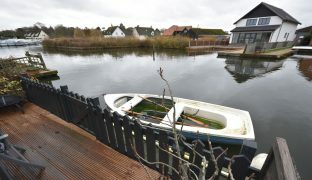 To the rear of the property is a decked seating area with log store and a private mooring, ideal for a day boat, and the perfect spot to fish from, measuring approximately 14’6″.